*Please note that the dorms room shown have been decorated for presentation purposes. The bedding, pillows, towels and all decorative housewares seen in these images are NOT included in the room. Please see What to Bring page for a suggested packing list. Please see below for a list of items included in each room. 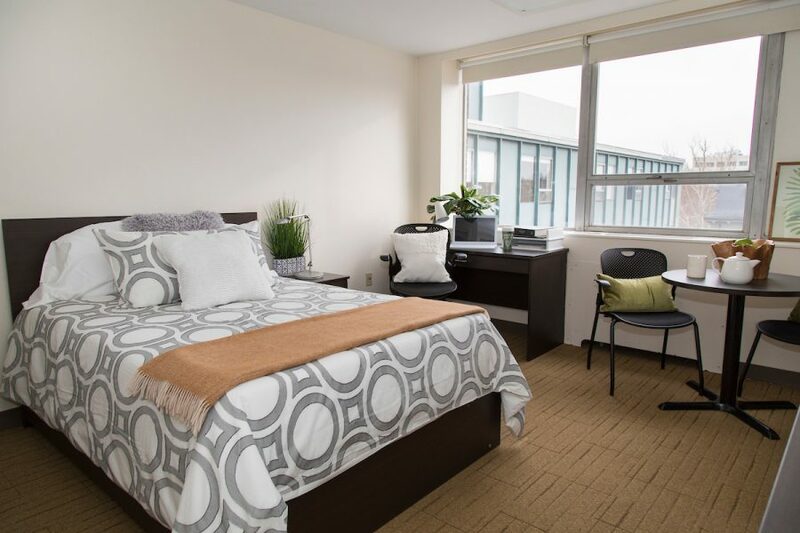 Important Information for Fall 2019: Due to a major construction project to the North Hall HVAC system during the summer of 2019, the cool air conditioning system may not be available in North Hall, 1637 Massachusetts Ave, 3 Mellen St, or 5 Mellen Street until the end of August 2019. Please note that individual air conditioning units are strictly prohibited at all times, so students arriving in early August should be prepared for the warm season in other ways, such as with free-standing fans. North Hall, a converted hotel consisting of 112 single dorms, is located two blocks north of the Law School campus. 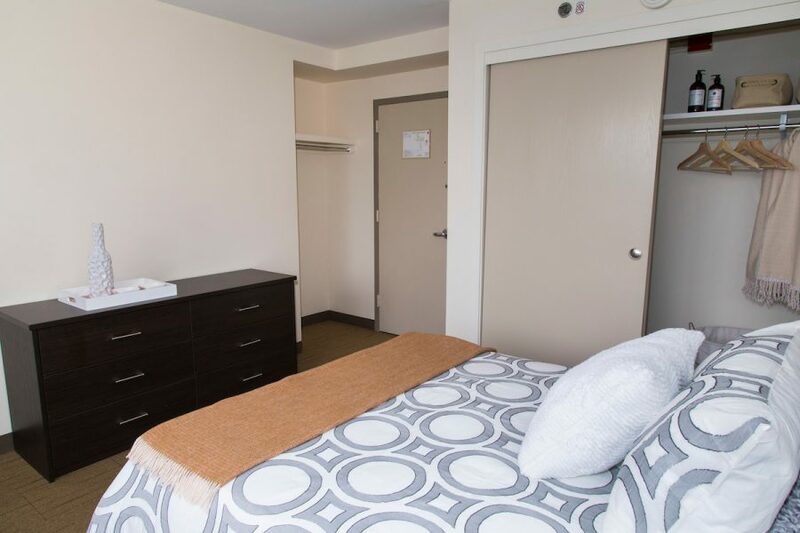 Because every North Hall dorm has a private bathroom, residents have a great deal of privacy. All floors are coed, and most have a kitchen on the floor. There is a large lounge on the first floor where students can socialize, watch TV, or study. To get the best sense of North Hall, check out the North Hall Photo Gallery and North Hall floor plans below. View Room Types and Prices for listings of North Hall room types, prices, square footage, and number of units. Full Size Bed (Medium, Standard, Large room types) – BEDDING and PILLOWS ARE NOT INCLUDED. Students must provide their own bedding.